You know how Shakira said hips don't lie? Well, neither does my gut! I have received confirmation that this product is processed on the factory line directly after the Sweet Chilli variety, which contains gluten in the flavouring. It is important to note that nowhere on the packaging does it state that it is packaged in a factory which also processes gluten. The packaging only mentions nuts. 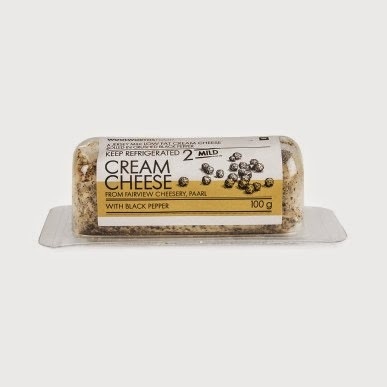 100g of black pepper cream cheese agony right there, folks. AND I'M MAD AS HELL ABOUT IT! Two weeks ago I tucked into some of this stuff spread on rice cakes for lunch. By that evening, I was writhing in intestinal cramping agony. The start of a flare-up of hidradenitis suppurativa (another uncharming autoimmune disease). A feeling of being on the edge of getting the flu. It took me 5 days to get any sort of energy back. I have had coeliac disease a long time. I stick to the most innocuous food stuffs. make you sick as a dog? What happens when you can't trust labelling? and have, it would seem, managed to cross contaminate their product with gluten in the process? There is no excuse with cross-contamination for factories and industrial/restaurant kitchens who profess to being free from gluten any more. There are gluten testing kits available that give you almost instantaneous results for anything from 5 p.p.m. to 20 p.p.m. You make me angry, Woolworths. You make me angry with your disdain in your lack of response to a customer complaint. This is a photos from a packet of Keogh's Irish Crisps, a product I felt confident consuming while travelling in Dublin (suitable for vegetarians and clearly labelled as gluten-free). I highly recommend them as a snack for coeliacs travelling in Ireland. 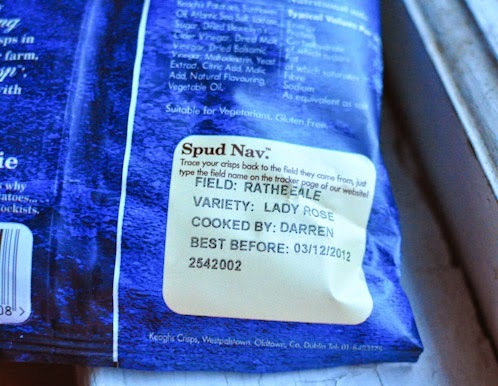 Now there is a great example of knowing what goes into your product, right down to the spud!